The purl stitch is the sister of the knit stitch, the most basic stitch in knitting – you’ll use this in pretty much all our kits. It creates a ‘U’ pattern and is often used as the pattern on the back of a garment. 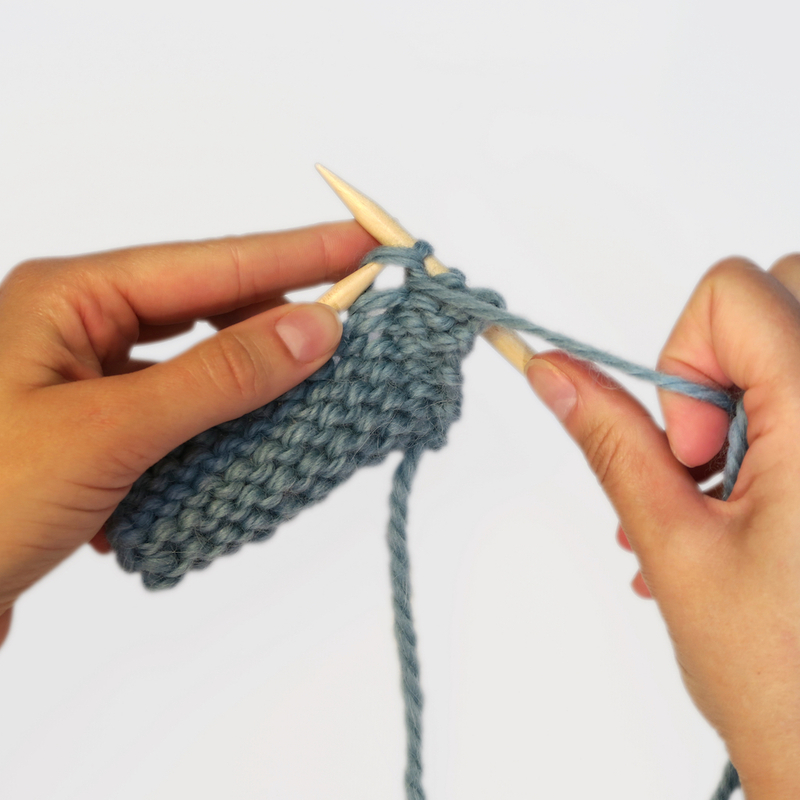 Look at our step by step photo instructions, or watch the video below for instructions on how to purl a stitch. Bring the yarn to the front, between your needles. Insert the tip of the right needle into the front of the next stitch on the left needle, so that the left needle crosses behind it. 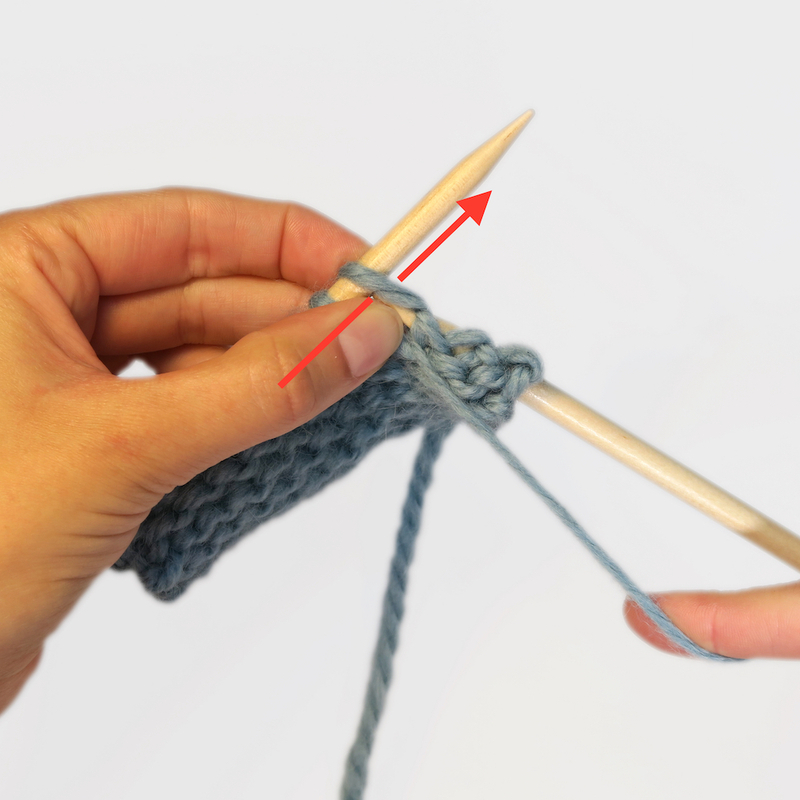 Keeping the yarn at the front, wrap it over and behind your right hand needle, so that it creates a loop around the right hand needle. 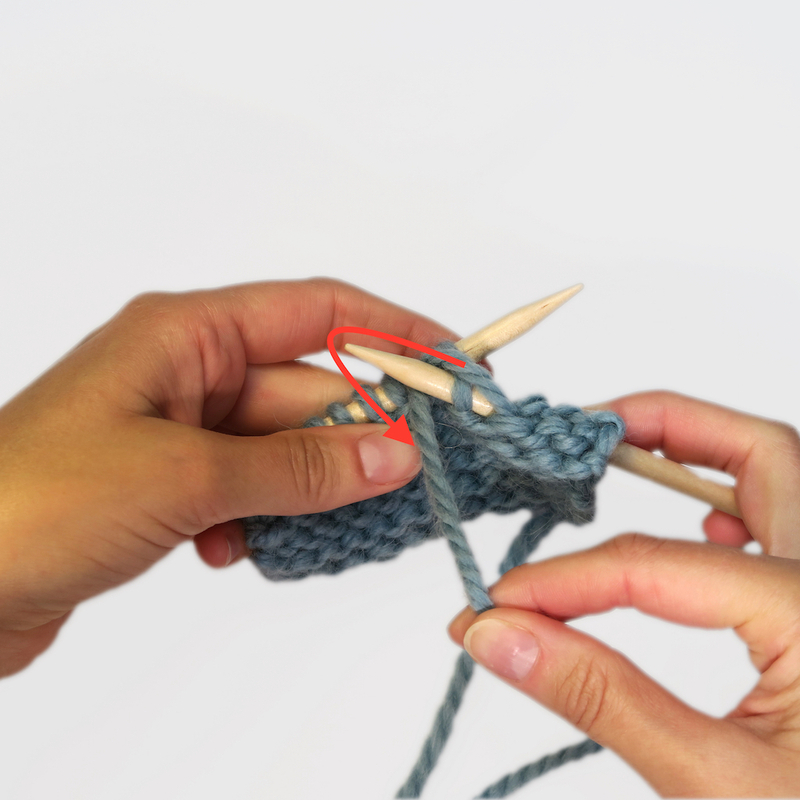 Pull your right hand needle down, back and behind the left one so that it ‘hooks’ the loop you just made, and brings it through to the back. 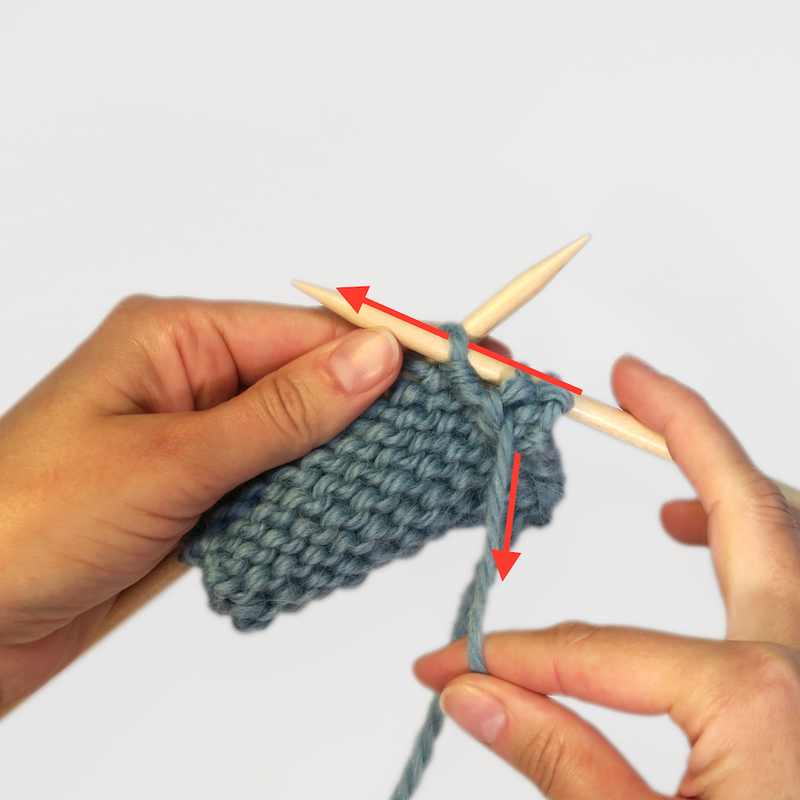 Slip the stitch completely off the left needle. Your purled stitch will now be on your right hand needle. Repeat as required by the pattern! 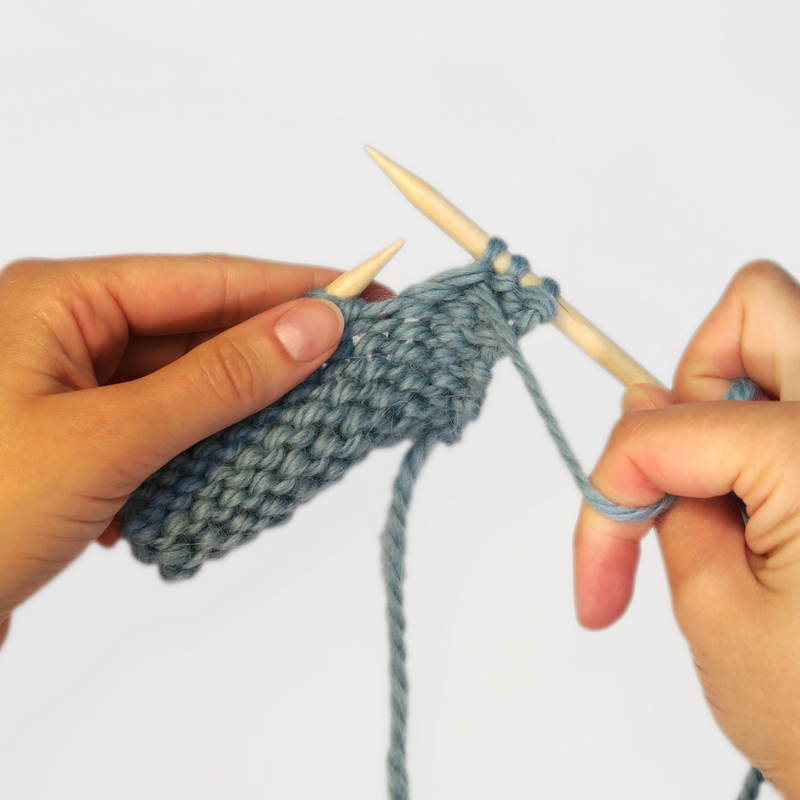 Tip: Don’t forget, purl – yarn at front; knit – yarn at back. 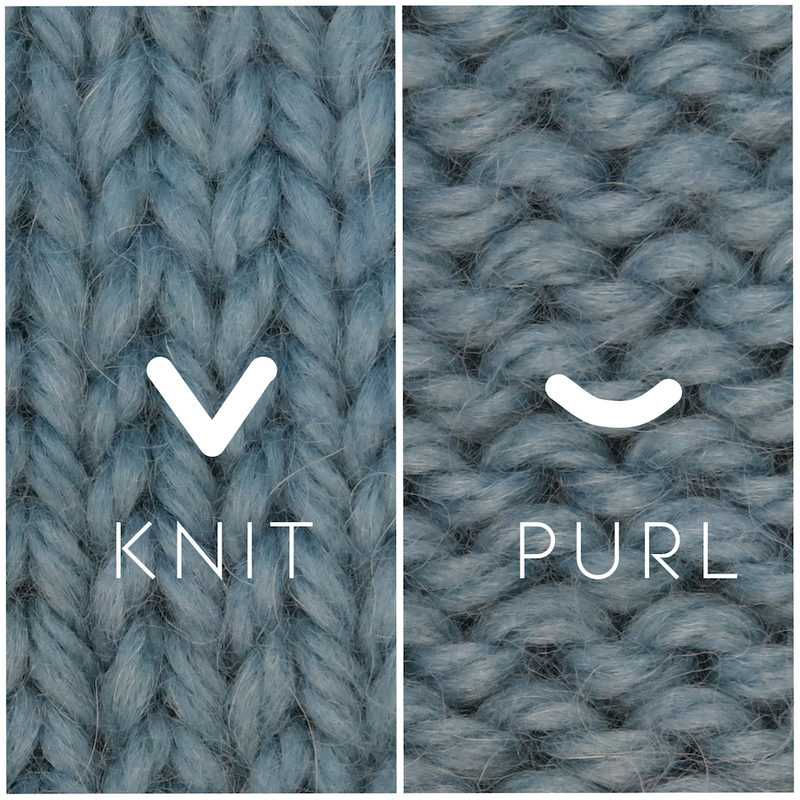 When you purl a stitch, the back of your work will show it as a ‘knit’ stitch, and vice versa. Stocking stitch [st st] (where all stitches on the front are knit) is a pattern made by making alternate knit and purl rows.